Thule and Case Logic will be present at IFA 2018 to show their collections of stylish and contemporary bags, backpacks, sleeves and cases to safely and conveniently transport mobile devices, cameras and electronics. 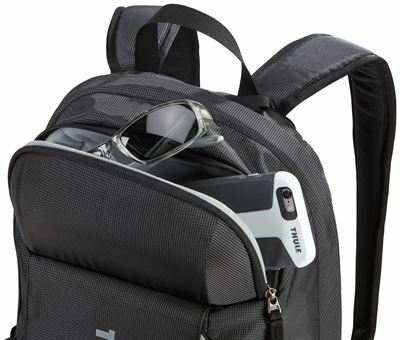 Two of the world's leading brands for safety and style in lifestyle bags and packs, Thule and Case Logic’s IFA booths will have on show a wide range of award-winning and innovative products for electronic devices. Thule will also show a range of new products with Thule EnRoute and Thule Covert Camera DSLR backpacks, which are adapted for daily life or active pursuits, as well as showcasing new accessories such as electronic cases and toiletry bags from its premium Thule Subterra travel luggage collection. Case Logic also unveils new products, the Case Logic Advantage collection of laptop bags and attaché and Case Logic Reflect laptop sleeves. There will also be a strong focus on both Thule and Case Logic’s ‘Back to Campus’ range of products, featuring a new selection of stylish backpacks designed for students. The IFA show in Berlin, Germany takes place on August 31 – September 5 and is one of the world's largest trade shows for consumer electronics and related products. In 2017 more than 1,805 exhibitors occupied 160,000 square meters of show space. Join Thule and Case Logic at IFA, Berlin in Hall 7.2B, booth 103. The Thule brand was established in 1942. Under the motto Bring your life, Thule globally offers a wide range of premium products for active people that allows them to bring what they care most for – safely, easily and in style. Thule designs and manufactures roof racks and roof boxes, bike, water and winter sport carriers, laptop, and camera bags, sports bags and backpacks and child-related products such as baby joggers, child bike seats and bike trailers. The products are sold in more than 140 countries world-wide. Thule is the largest brand in Thule Group. For over 30 years, Case Logic has developed and designed great bags and cases for handheld electronic devices. With products such as laptop bags, daypacks for school, university and work, tablet cases, laptop sleeves and camera bags, we balance performance and style for a mobile life in an urban environment. Our bags and cases are designed under the motto Life, Simplified. They enable people to protect and gain easy access to their favorite electronic devices and everyday gear, and to look good while carrying them around. The products are sold in more than 100 markets world-wide. Case Logic is a part of Thule Group.